Join The Hot Yoga Spot, Complexions Spa and Saratoga Juice Bar for our outdoor yoga series. 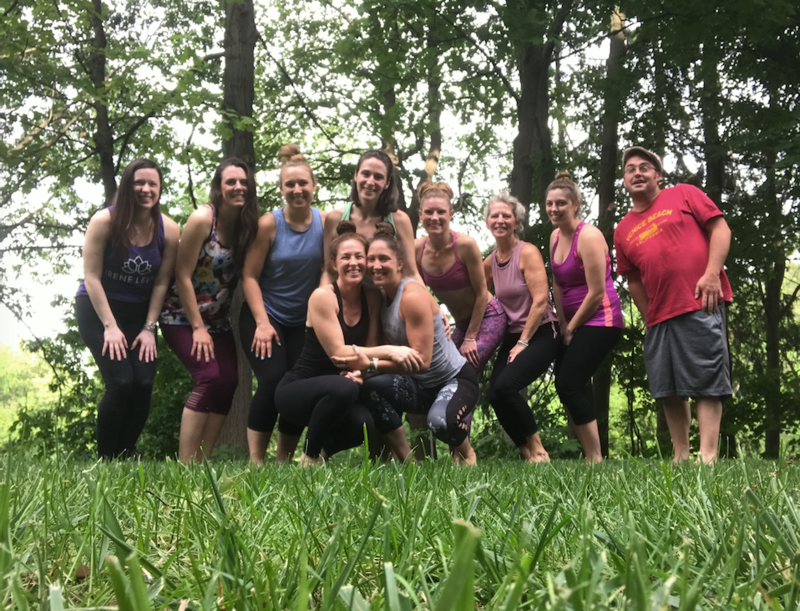 These special classes are the perfect way to celebrate summer and enjoy the ultimate in relaxation and pampering from your favorite Saratoga wellness destinations. Each event will feature an all levels yoga class taught by talented teachers from The Hot Yoga Spot. When you sign up to participate in the event, you also get a day pass to enjoy the luxurious amenities at Complexions Spa for the ultimate in pampering. Participants also receive complimentary juice from Saratoga Juice Bar and shopping for high end yoga apparel and accessories from popup shops featuring Irene Leigh, lululemon and Athleta. All sessions take place at Complexions Spa in Saratoga Springs. The yoga happens on the quiet outdoor terrace overlooking Congress Park. The events will be held June 22, July 13, August 17 & September 14. Each event costs just $25 and includes the yoga session, a full day of spa amenities, complimentary juice and popup shop. The event on June 22 will be taught by Lindsay & Sally and will feature a popup shop with Irene Leigh. The event on July 13 will be taught by Amy & Leslie and will feature a popup shop with lululemon and Sat Nam Babe. The event on August 17 will be taught by Jaime & Holly and will feature a popup shop with Athleta. The last event on September 14 will be taught by Delia & Taegan and will feature a popup shop with Irene Leigh.